T1 plus den in the beautiful Oceano Atlantico Complex. Outdoor pool with children's area and restaurant on main floor. Located just a short walk to the Praia da Rocha Beach. Close to everything, quiet, great amenities and with all the comforts of home. The apartment is a full 1 bedroom with a den which has a pull out sofa which is separate from the main living area. Fully equipped kitchen, including all cooking necessities, with ceramic top stove, oven, fridge freezer and washing machine. 40 inch Samsung Smart TV with free internet access and cable TV. Cosy veranda with 4 chairs and table if you wish having a relaxing meal outside or just some drinks while enjoying the ocean breeze. For those who which to keep in shape while on holidays there is a fully equipped gym called "Evoc" on site in the complex (small user fee). The apartment has everything you need for a relaxing holiday with all the comforts of home. I live in Canada but am of Portuguese heritage. I have always loved the beautiful beaches of Portugal but my favourite has always been Praia da Rocha. So much so that I decided to buy my own property in 2015. This is my personal vacation in property in Algarve which I enjoy regularly with my children and share it with guests at other times. For international travellers, I also own a beautiful apartment in Miami Beach, Florida, USA since 2011. Available on Homeaway #984837. I most warmly welcome you to stay at my place and discover the beauty this area has to offer. Love the beach, portuguese food , people and the beautiful climate of the Algarve. Ótimo apartamento, muito limpo e com tudo que é necessário para umas excelentes férias. Próximo da praia e de vários hipermecados. Agradeço a simpatia da Aline e do Mark que nos receberam com toda a amabilidade. Certamente irei voltar, pois adorei o apartamento. Apartamento em excelentes condições, exactamente como as imagens mostram. Bem equipado e mobilado. Bem situado, perto das praias, de mercados e de um centro comercial. O Apartamento turístico Oceano Atlântico é muito bonito e moderno, sempre limpo e com bom atendimento. Em relação a piscina, é normal, só perde em não dar sol de manhã. No global foram uma excelentes ferias e quando voltar a Portimão tenciono procurar novamente este apartamento. 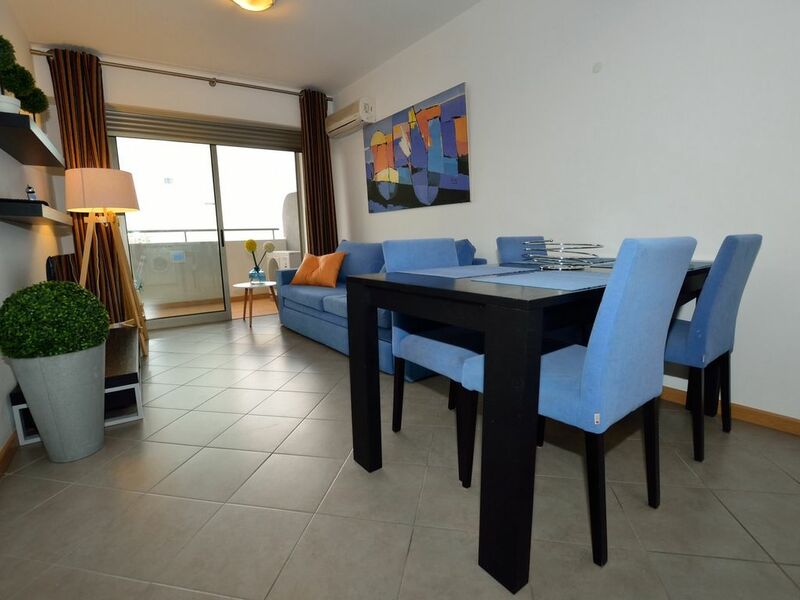 A superbly furnished and equipped apartment with great views to the sea and river. Situated within a very secure complex offering the facilities of a restaurant, bar, gym, swimming pool and large car park. Within easy walking distance of the beach where there is a great selection of bars and restaurants. There is an excellent supermarket within walking distance selling a lot of local produce. Very welcoming owners who were very willing to answer all our questions regarding the apartment and where to go for meals in the area. Would really recommend this apartment for the extra comfort provided and excellent location. Will be returning later this year.